Do you have what it takes to be the champion in movies? Take the quiz and find out. So you’re a big fan of movies, are you? Flirt with danger to watch French neo-noir (*cough, torrents, cough*)? 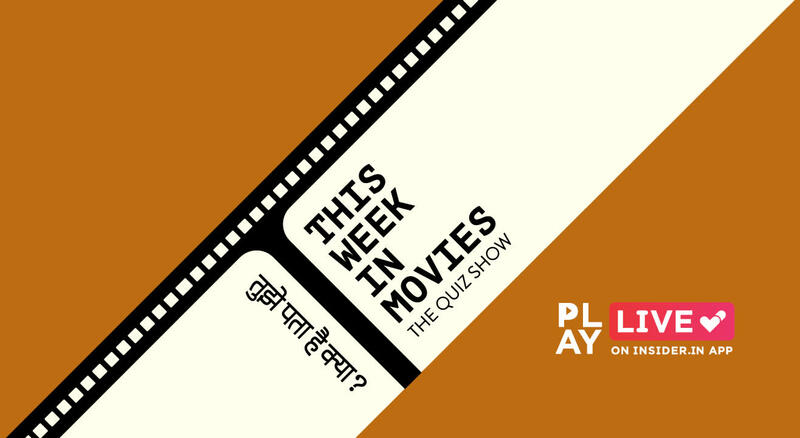 Let's test that movie memory in our “This Week In Movies” quiz. Prizes for the winners and instant film buff status guaranteed. To see how many lives remain unused, please visit your Insider profile page here- https://insider.in/users/me. You can use these lives in any of our subsequent live shows! To stay updated, just follow the shows you’re looking forward to here under the ‘Play it Live’ section on the app.